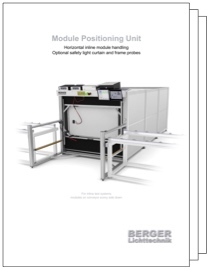 The BERGER Lichttechnik Module Positioning Unit (horizontal) is designed for use in automated, semi-automated and manual production lines combined with a BERGER Tunnel system. The Module Positioning Unit (horizontal) can be used with systems incorporating the PSL 8 for power measurement. 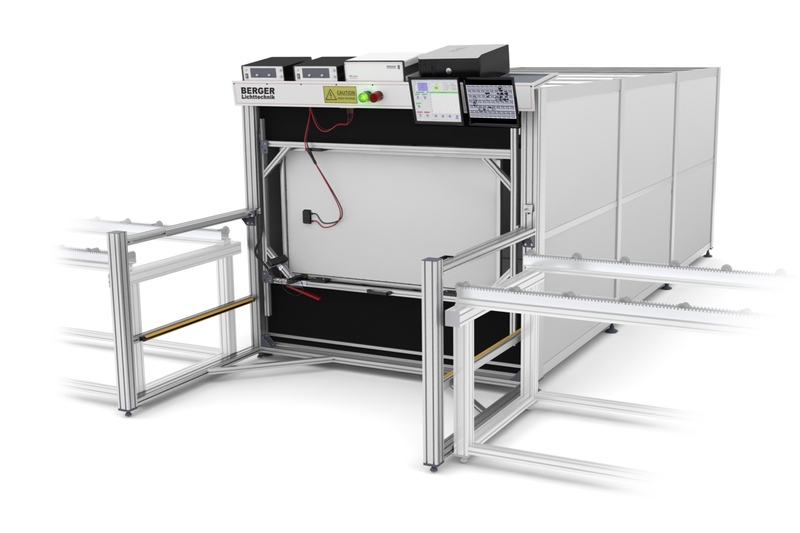 Optional with pneumatic frame probes and safety light curtain for use with the PSL-AU II performing safety tests according to international standards.